Shadows have been on my mind lately. I think one of the reasons is because my friends at Blue Ridge Workshops have posted a few Facebook challenges, including one featuring shadows and silhouettes. 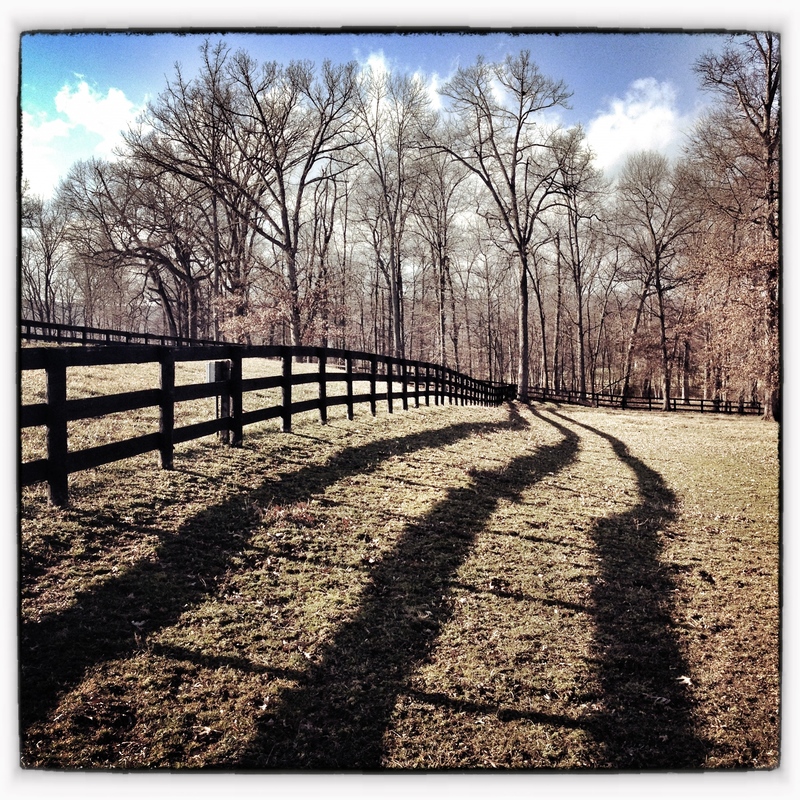 So as I walked down to the outdoor ring today I noticed the long shadows and stopped to take a few shots with my iPhone. It was fun to play with different filters, and I shot a few images with Camera+ and Instagram. I chose this one for the blog, an image in which I used Instagram and Snapseed, including a frame that seems to help the photo pop. I appreciate having these filters to play with, and after taking a webinar today on Nature Photography via B&H Photo, I ordered Nik Color Efex Pro 4 to further expand my repertoire with Photoshop. I’m looking forward to learning even more about photo editing, and after attending two photography webinars this week, I’m even more inspired to continue my educational goals for 2012.